Frugal Mom and Wife: Veterans Day FREEBIES and DEALS 2014! Veterans Day FREEBIES and DEALS 2014! To honor their service and sacrifice, many establishments are offering all active military and Veterans freebies and huge discounts! Just follow the links below to your desired offer, they will be happy to serve you. *Not active military or a Veteran? Pass this post along to someone who is! Applebees: Free entree on 11/11 for veterans and active duty. Arooga’s: Free entree and drink (from special menu) for veterans and active duty on 11/11. 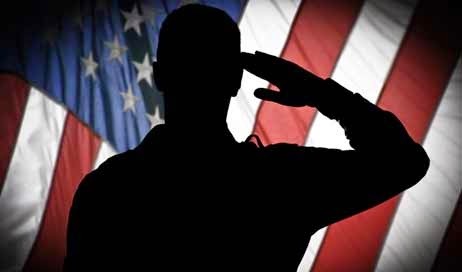 Bed and Breakfasts: Free hotel stay on 11/10 and 11/11 for veterans and active duty. Buehler’s: Free breakfast and coffee for veterans on 11/11. California Pizza Kitchen: Free entree for veterans and military on 11/11. Car Wash: Free car wash at locations across the country for veterans and service personnel. El Torito: 20% off for Veterans and active military ALL YEAR LONG! Great Clips: Free hair cut for active duty, inactive, and retired Military members. IHOP: Free red, white and blue pancakes for Military/Veterans on 11/11. Krispy Kreme: Free doughnut and coffee for Veterans on 11/11. MOD Pizza: Free individual pizza or salad on 11/11 for veterans/military. National Parks: Free Entrance for everyone 11/11. On the Border: Free combo meal for veterans on 11/11. Orange Leaf: Free cup of froyo for active duty/veterans on 11/11. Red Robin: Free burger and fries for military/veterans on 11/11. Shoney’s: Free All-American burger for veterans and active duty on 11/11. Sizzler: Free lunch and drink for veterans on 11/11. Starbucks: Free tall coffee for military, veterans and spouses on 11/11. Free Stickers: Free “I Served” sticker for veterans. Veteran Ticket Foundation: Free Event Tickets for veterans. *Unless otherwise noted, these freebies are for active military and Veterans. Please note most places will require Proof of Military Service. Proof can be in the form of military ID which includes Military ID CARD (active/reserve/retired), Current Leave and Earnings Statement (LES), Drivers Licence with Military Designation, or Veterans Organization Card.